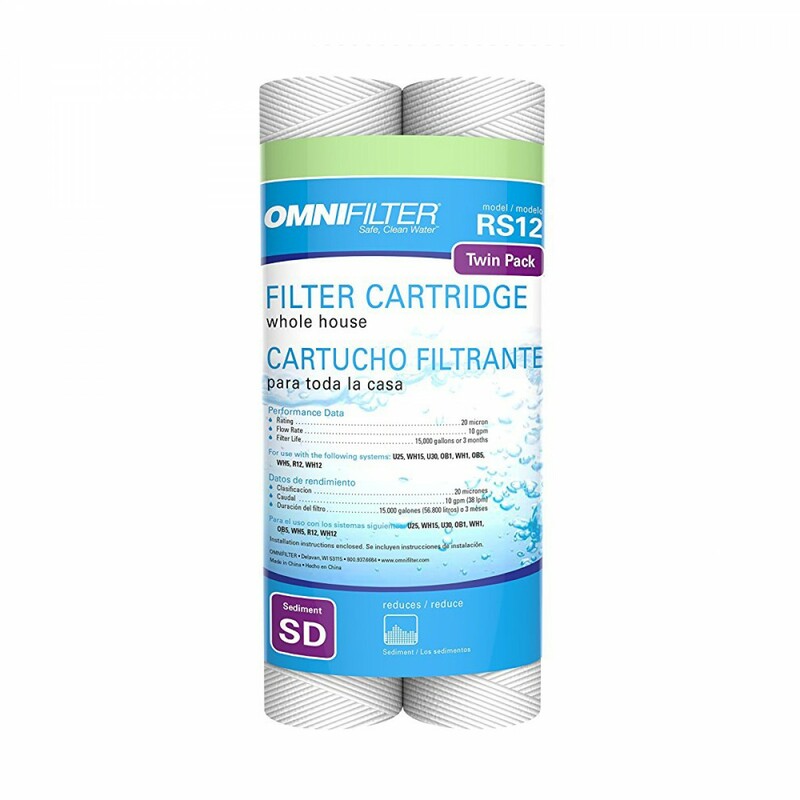 If you have a sediment problem in your water then you need the Omnifilter RS12-DS3-S06 to reduce that grit in your glass! Sediment settles in water heaters, grinds in the gears of washing machines and is generally distasteful to see floating in a glass of water. You can extend the life of your appliances and have the water clarity your family deserves by installing this filter today. 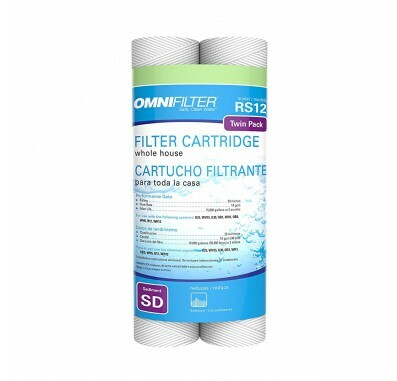 The OmniFilter Whole House Replacement Filter Cartridge fits most industry standard 10-inch filter housings. The filter uses String-Wound Polypropylene to remove contaminants for up to 3 months. Whole house filtration provides clean water assurance throughout the home. Two filter cartridges so you always have a spare at the ready. Large surface area for more dirt-loading capacity makes this filter more efficient and longer lasting. 3 month or 15,000 gallon filter life.